F40CFan wrote: They keep moving 7664 around. It was by the east end of the shops. I wonder if they are getting it ready for use. I hope they don't put those horrible new seats in it. They also should reconsider the paint job. The stripes look ridiculous and off center in the middle of the car, but actually aren't when seen directly on. How about just platinum mist with the Metra logo over the entrance doors? 7664 is now at 14th Street, presumably on a SWS set, first car behind two locomotives. Wish I could’ve gotten a photo on the way out of CUS. 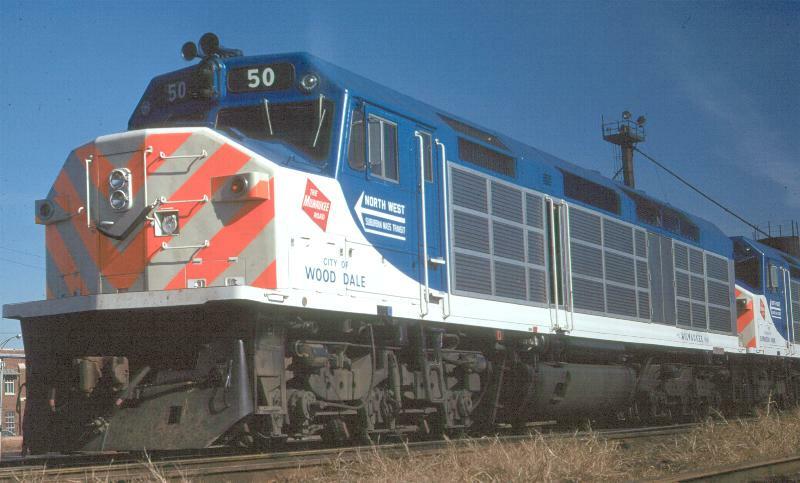 There's a blurb about them in the current Railfan and Railroad with a photo. Not the best photo but 7664 at 14th St this afternoon. 8236, which recently got it's cab blanked over is back on the MILW/NCS lines after spending 8 or 9 years on the RI. Two additional former VRE cars were repainted into the same scheme as 7664 and are at Western Ave. Cannot remember the numbers but 7440 was also coupled and was on the same track as 611 and 614. 8575 is at 14th St, sitting under Roosevelt Road in which the control end is facing south. 8573 has now made it over to the MILW/NCS. Additionally there seems to be more 6000 series cars on MILW and a few have also made it to BNSF/SWS. 7119, a BNSF lettered Budd car is operating on the MILW. Saw it this afternoon.